The West Campus Pool will remain open for extended hours this summer to make up for the closure of Willard Pool. Berkeley pool advocates gained a long-awaited victory in the final minutes of the Berkeley City Council's six-hour-long meeting Tuesday when a proposal - which was deemed inadequate by advocates - to extend the hours of a local pool was passed, compensating for the loss of two other pools. West Campus Pool will now be open Friday evenings for lap swimming and weekends for general swimming. At the council's last meeting of the summer, City Manager Phil Kamlarz pledged to fund the needed $13,000 to extend the pool's hours and will look first into the city's capital project funds. Councilmember Laurie Capitelli pledged to give $1,500 to the pool from his district's discretionary funds. Other council members can choose to do the same, but the city will not look to districts' money as primary funding sources, said Julie Sinai, chief of staff to Mayor Tom Bates. On the other hand, the cost to complete necessary renovations to Willard Pool, which closed July 1 after months of unsuccessful campaigning, is approximately $2.5 million, according to Scott Ferris, city recreation and youth services manager. It would cost $4.7 million to replace the entire "dilapidated" facility, Ferris added. Shelley Hayden, co-chair for the Berkeley Pools Campaign, said Willard advocates recognize there is not money lying around to renovate the pool, much less to rebuild it entirely. For now the city has no plan to demolish the pool - currently vacated and covered, but not drained - in hopes of securing funding in the future. Although pool advocates' recent victory will likely end campaign activity for the summer, they said they are still looking for a more permanent, satisfactory solution. "Willard is a neighborhood pool accessible by walking and biking," said JoAnn Cook, co-chair of the Berkeley Pools Campaign. "West Campus is quite a distance away from kids, especially over the summer when they're on their own. Bus transportation to other pools is not simple." 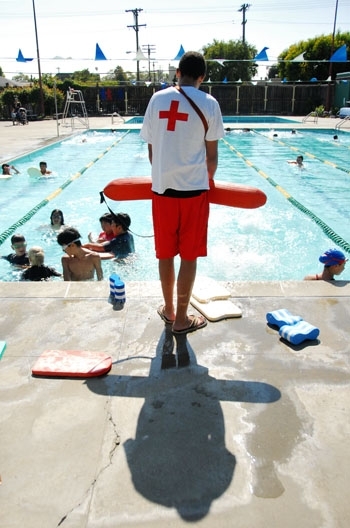 Councilmembers Kriss Worthington and Gordon Wozniak both fought to save South Berkeley residents' access to city pools at recent council meetings, saying the recreational area is vital to residents in their districts. "(Willard) is a really important component that makes the community very livable," Wozniak said. "West Campus doesn't address the fundamental problem here." Pool advocates also face the upcoming demolition of the city's only warm water pool at Berkeley High School which mainly serves the elderly, youth and disabled. The pool is scheduled to close in July 2011, when the school will demolish its current athletic facility to build new structures. Members of the Berkeley Pools Campaign said they will reconvene soon to discuss future actions. "The only way to really make up the losses is to reopen," Hayden said.